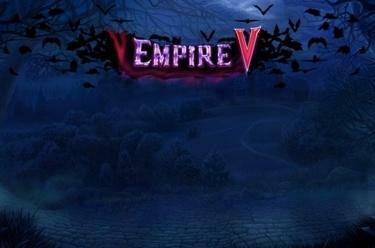 Play Empire V online for free now! In Empire V you embark on a journey on 5 reels with 10 win lines. With a little luck you earn free games which will lead you to the private wing of the prince. The Ghost Moon that acts as Wild symbol pays the highest winnings. Your aim in this game is to land 5 identical symbols on as many win lines as possible. The symbols have to be lined up from left to right along the relevant win line. 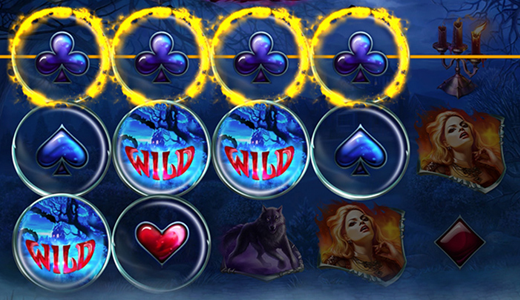 The Ghost Moon (Wild symbol) substitutes for any other symbol in this slot except for the Castle (Scatter symbol). The Castle (Scatter symbol) counts in any position. Free games are triggered when at least 3 Castles appear on the reels. 10 free games start when you land 3 or more Castles and you immediately make your way to the mystical wing of the Castle. Free games don't feature card symbols (hearts, diamonds, clubs, spades). If you earn 3 more Castles during free games you win 10 more free spins.